$55. One Ticket is good for one admission to the event for the entire conference! Join us in downtown Owensboro, KY as we gather for a weekend of fellowship, worship, and biblical truths. 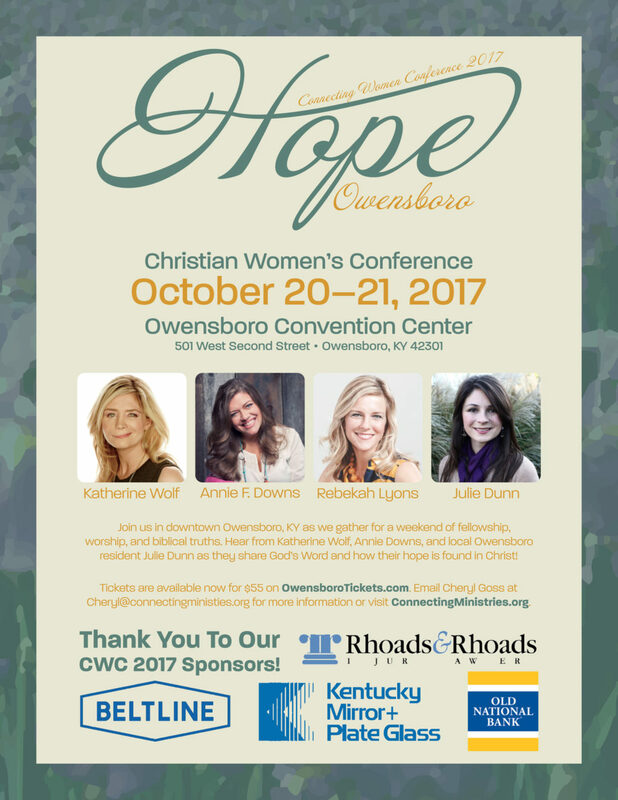 Hear from Katherine Wolf, Annie Downs, Rebekah Lyons, and local Owensboro resident Julie Dunn as they share God’s Word and how their hope is found in Christ!